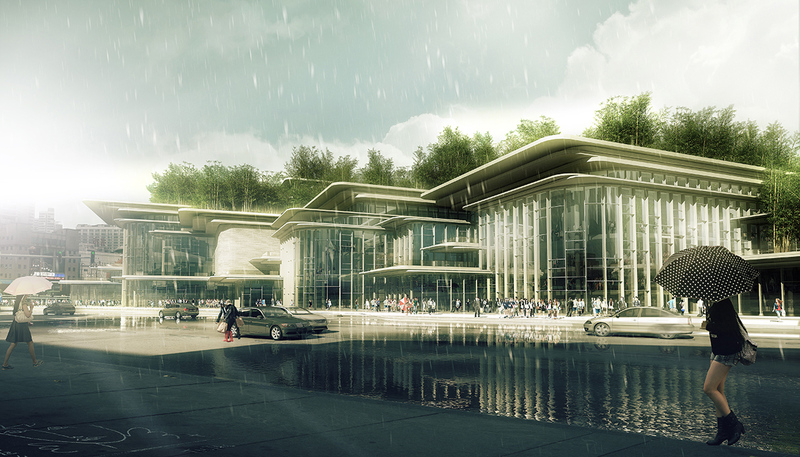 Located in Wuhou district Chengdu, China, Chengdu City Music Hall symbolises timelessness of nature, culture, and heritage housing the finest world-class cultural venues, art exhibition halls, and educational facilities as a city landmark. 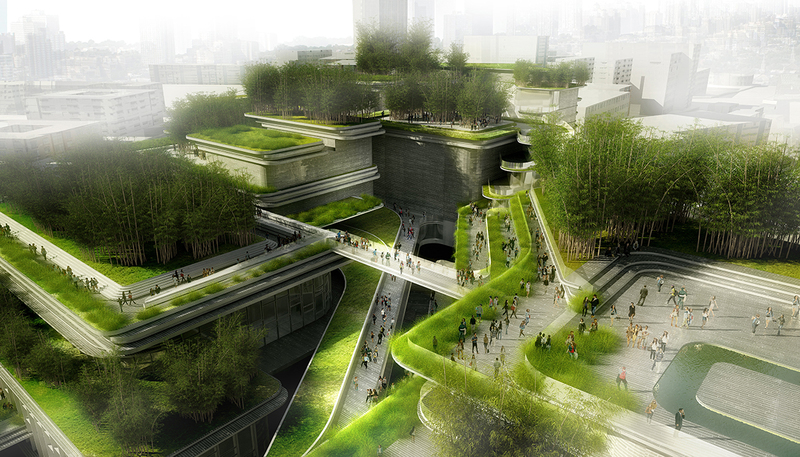 Inspired by traditional Chinese landscape painting Shan Shui, literally mountain and river, the project formalises this language through its roof topography ‘mountains’ and erosion along the lower pedestrian levels ‘river’. It leads people to nature with its roofscape which recaptures the blurred mountain contours in the mist in the traditional paintings. 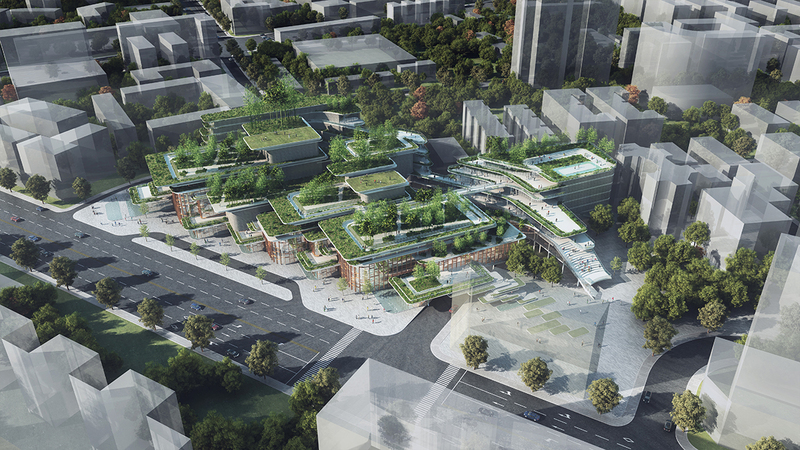 Through cascading the roofscape, the modest project mass allows smooth transition from the large commercial buildings on the southwest of the site to the Sichuan Conservatory of Music and the human-scale residential buildings on the northeast. 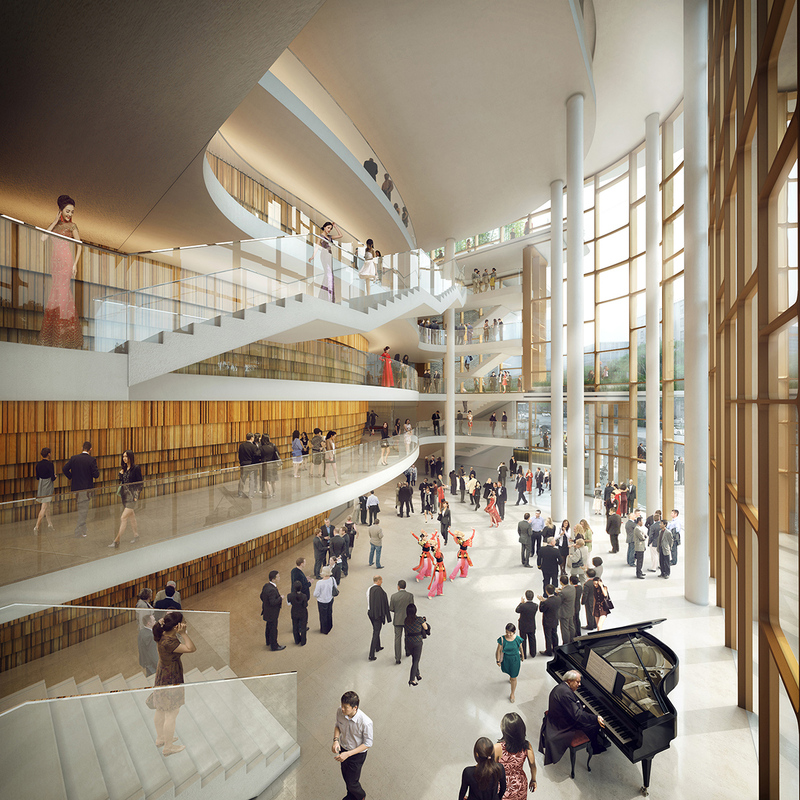 With careful planning on the programmes, large commercial components including opera, theater and concert Halls are positioned along the First Ring road creating a formal edge. 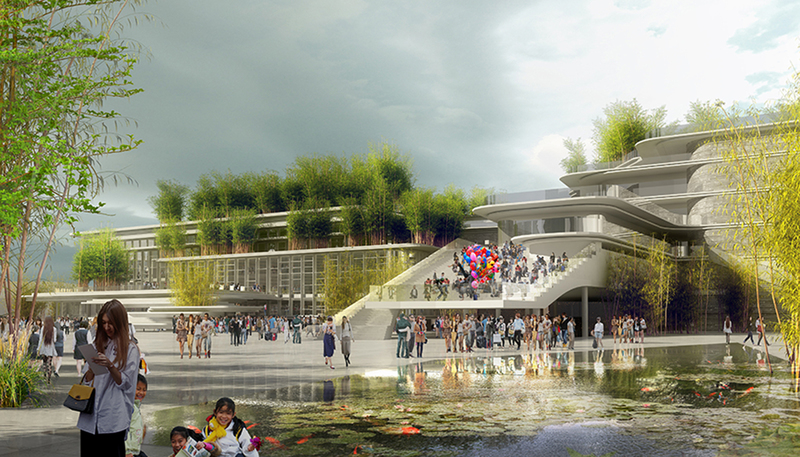 A pedestrian flow along the northeast edge creates a ‘flowing river’, whilst the mass terraces on the opposite side towards the formal edge become a campus connecting the formal edge to the informal school. An art-themed hotel anchors the northeast corner which is accessible from the floating roof gardens as well as the drop-off area along the ground level. 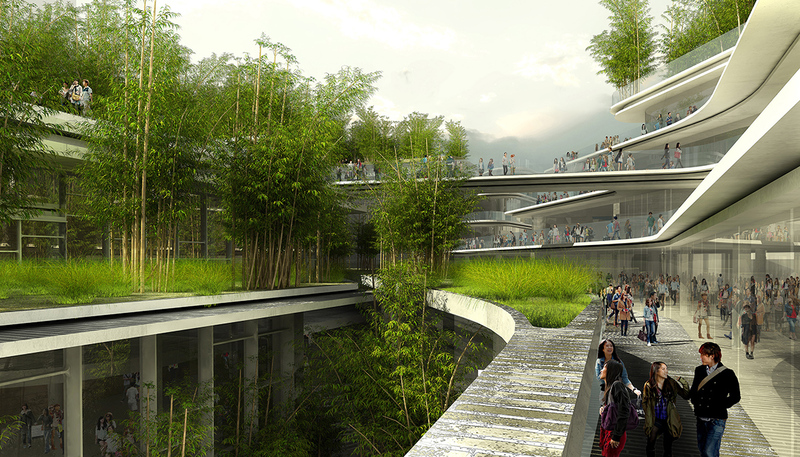 With China’s National Heritage Giant Panda Sanctuaries housing 80% of the world’s rarest species, the project pays tribute with its lushly vegetated bamboo rooftops which can be perceived as floating mountains above the city with interconnected paths to induce breezes and create a comfortable environment.